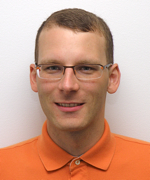 Christian Wimmer is a researcher at Oracle Labs, working on the Graal compiler, the Truffle dynamic language infrastructure, the Maxine VM, as well as on other projects that involve dynamic compilation and optimizations. His research interests span from compilers, virtual machines, and secure systems to component-based software architectures. He received a Dr. techn. degree in Computer Science (advisor: Prof. Hanspeter Mössenböck) and a Dipl.-Ing. degree in Computer Science, both from the Johannes Kepler University Linz, Austria. Before the time at Oracle, he was a postdoctoral researcher at the Department of Computer Science of the University of California, Irvine. He worked with Prof. Michael Franz at the Secure Systems and Software Laboratory on compiler optimizations, dynamic programming languages, and language-based security. As a PhD student, he worked at the Institute for System Software of the Johannes Kepler University Linz, Austria on compiler optimizations for the Java HotSpot™ virtual machine. His implementation of a linear-scan register allocator for the Java HotSpot™ client compiler is part of the Oracle JDK since version 6 (source code available from the OpenJDK project). Then, he explored automatic object inlining, a novel feedback-directed optimization for the Java HotSpot™ VM. He also manages the development of the Java HotSpot™ Client Compiler Visualizer, a visualization tool for the internal data structures of the client compiler, as well as of the Graal compiler and the C1X compiler of the Maxine VM.